This drink recipe may be a teeny bit premature. 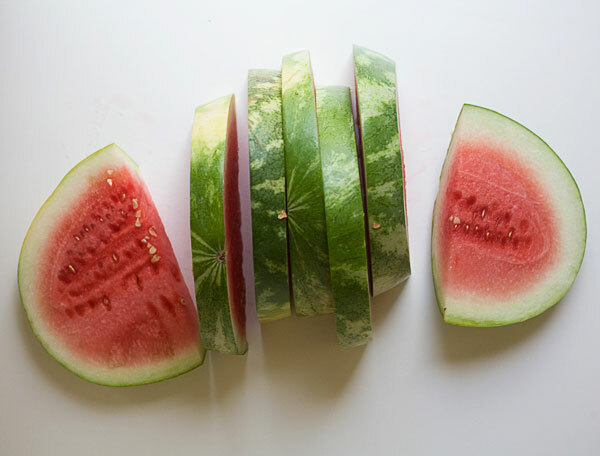 I usually associate watermelon with the dog days of summer; not the days that teeter between spring and summer. I blame the sweet smell of watermelon! As I was strolling through my local grocery store earlier this week, I was lured by its smell. There was a whole stand of really beautiful-looking seedless watermelon, so I simply couldn’t resist. At first I just took just a quarter of a watermelon home, ate a slice and blended the rest to make a single glass of watermelon juice. Once I downed the first cold glass of watermelon juice, I was bummed there wasn’t more. The next day I returned, but instead of making the mistake of just buying a quarter, I bought a gigantic 6-pound watermelon. In the past, I’ve usually made a simple syrup to add to the watermelon puree but this year I found it to be completely unnecessary. Perhaps it was just a fluke, or I had a really great watermelon, so feel free to play around with the sugar content, adding as little to none or up to 1/2 cup. It’s entirely up to your taste buds, but just make sure each glass is filled to the brim with ice and straw is nearby. 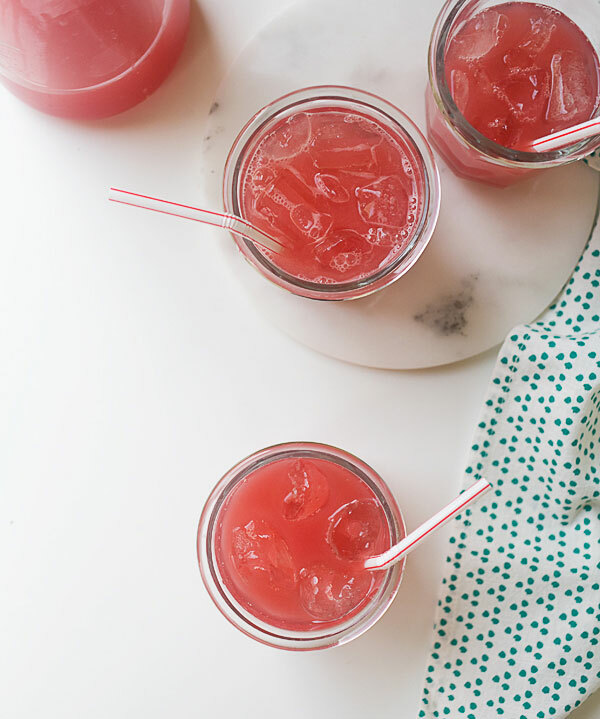 Blend up watermelon, sugar, and water for a perfect Summer treat you can make in just minutes from Adrianna Adarme from the Fresh Tastes blog. Line a sieve with a few layers of cheese cloth. Place the sieve atop a bowl or large pitcher. Pour the watermelon puree into the cheese cloth and allow to strain--it may take around 5 minutes or so. 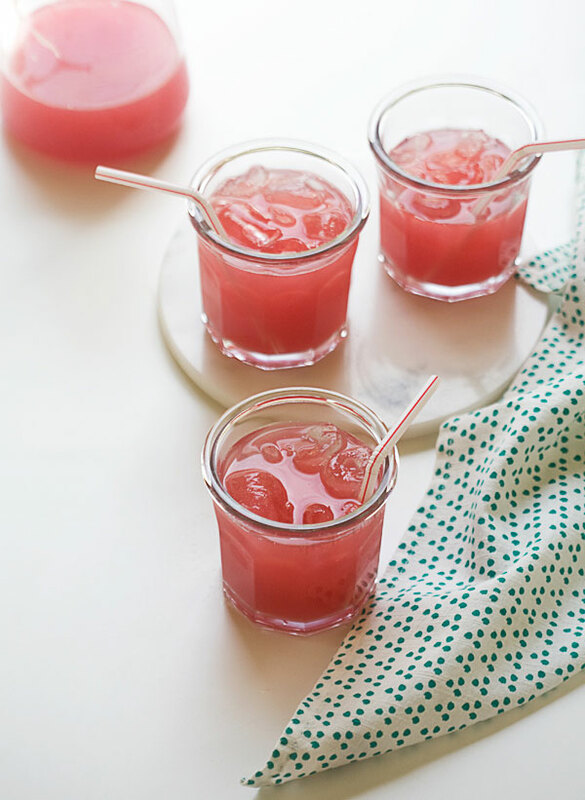 Repeat the blending and straining process with the remaining chopped watermelon. Transfer the watermelon juice to the refrigerator for 1 hour to chill. 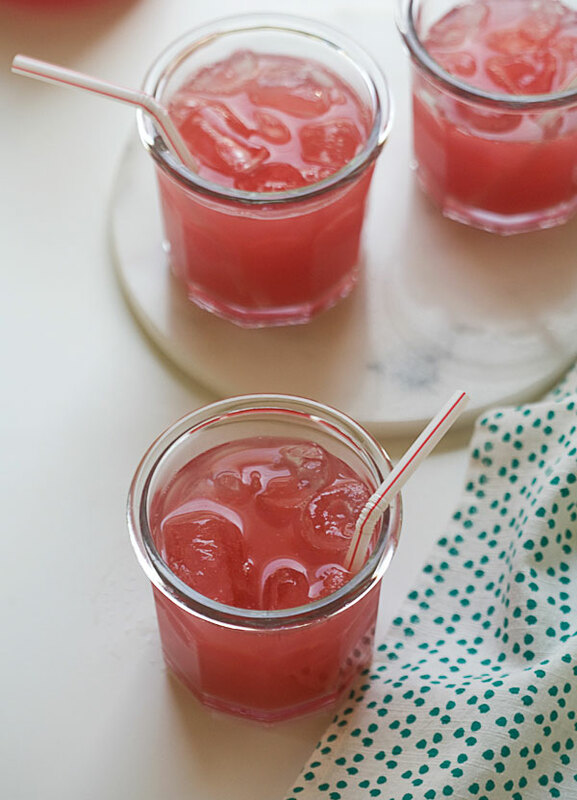 Divide the watermelon juice amongst glasses.